The Veterans Affairs Department would have to ensure all of its management layers are necessary and are being held accountable for their performance under a bill the House approved 399-0 on Monday. The VA Management Alignment Act (H.R. 1066) would require the department to report to Congress on its organizational structure, including details on the “roles, responsibility and accountability” of all of its “elements and individuals.” The report would include results from already conducted studies, such as two assessments required by the 2014 Veterans Access, Choice and Accountability Act. 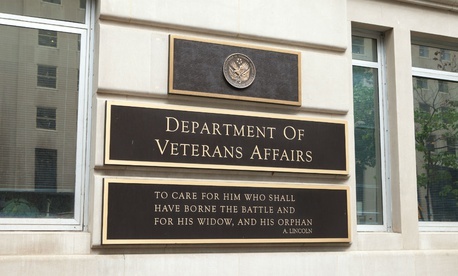 Proponents of the measure pointed to findings from one such existing report that found the Veterans Health Administration’s structure is “intensely, unnecessarily complex.” Managerial deficiencies such as “inadequate oversight and accountability” and “inadequate training” have for years landed VA on the Government Accountability Office’s high-risk list. Since it first released its explosive findings in 2014 about widespread malfeasance in Phoenix, VA’s inspector general has published an array of investigations identifying systemic problems at medical facilities across the country. The bill would call on VA to include recommendations for legislation in its report, which it would have six months to draft. President Trump already signed a measure aimed at improving accountability at the department, enacting in June legislation speeding the disciplinary process for VA employees. The new report would include a list of the leaders at every VA office, region and medical facility. Rep. Derek Kilmer, D-Wash., said when he introduced the measure in February it would help VA better deliver services to veterans. The measure would be a victory for many crusading for reform at VA, such as those on and supporting the Commission on Care that was created under the 2014 law President Obama signed to overhaul the department in the wake of secret wait list and patient data manipulation scandals. The commission issued its final report in 2016, and while some lawmakers pledged its findings would not “sit on the shelf and collect dust,” its most significant recommendations have not yet been implemented. Under the Management Alignment Act, VA would have to consider the commission’s findings in its report to Congress. The American Federation of Government Employees, which represents 230,000 VA employees, has opposed accountability bills and reforms proposed by the Commission on Care for what union officials see as a disproportionate focus on rank-and-file employees over management. AFGE has endorsed the new bill, however, as has the American Legion.